One of the things I anticipate most in Fall is the arrival of a new crop of Honey Crisp Apples. I love the fresh, sweet, crisp taste of these apples. In an effort to use them any way possible, I decided a salad would be a fabulous way to incorporate them into dinner. This salad is a favorite – it is so full of flavor and crunch! 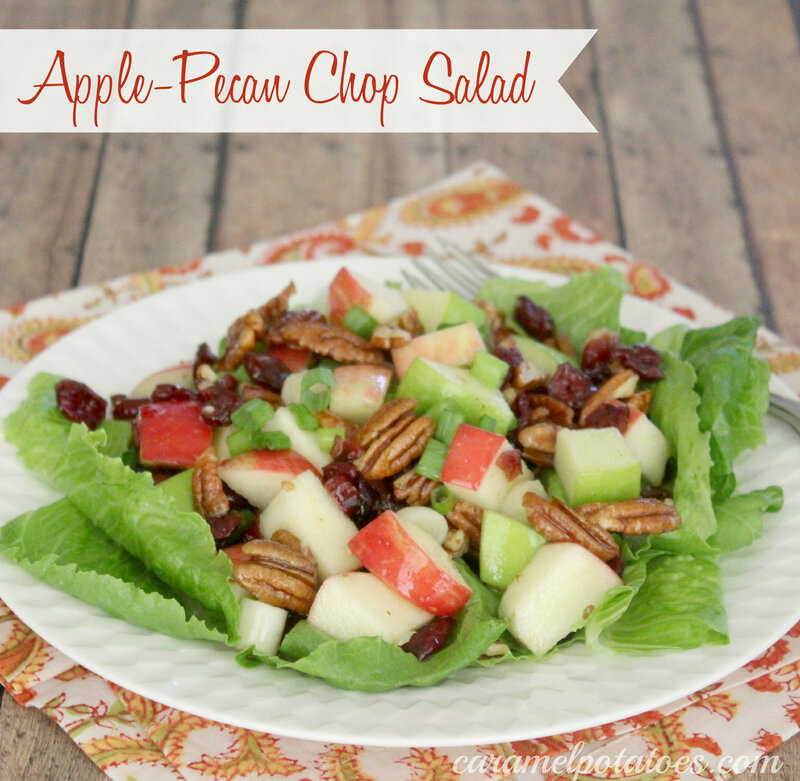 Apples, cranberries, and pecans in a sweet and tangy Dijon-Lime Dressing – yum. Serve it as a side salad, or you could even throw in some rotisserie chicken and/or bacon for a sweet meal in itself. Whisk together lime juice, mustard and sugar. Gradually whisk in oil. Place apples, pecans and green onions in a bowl. Pour dressing over mixture; toss to coat. Cover and chill at least 1 hour or until ready to serve. Add cranberries to apple mixture and toss. Line a platter with lettuce, and top with Apple-Pecan Salad; or place lettuce on 4 individual salad plates and top with salad.